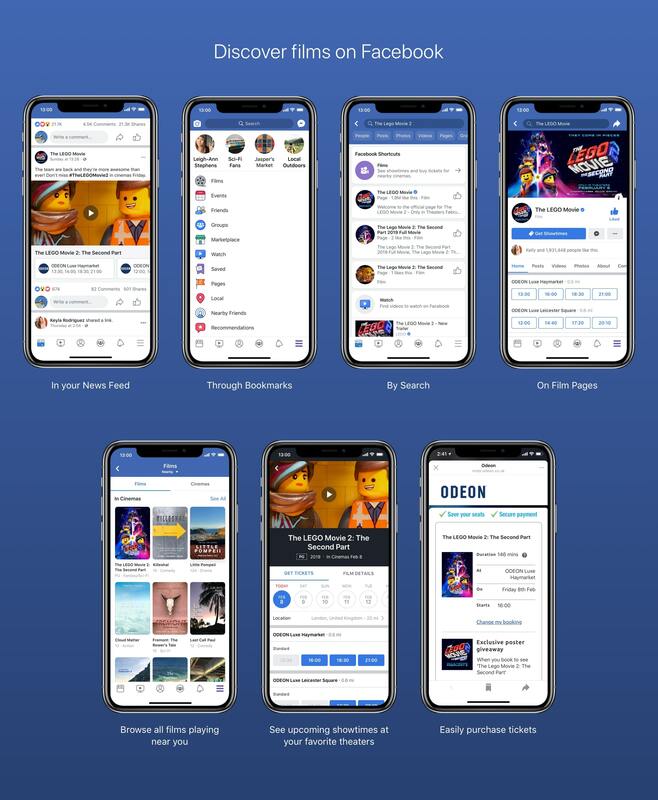 London (February 8, 2019) – ODEON Cinemas – the UK & Ireland’s largest cinema chain – has today announced a new partnership with Facebook to allow Facebook users to purchase ODEON cinema tickets in just a few clicks, directly on the social networking platform for the first time. The platform allows movie fans to browse films and showtimes at cinemas in locations near to them by expanding the “More Menu” option in the Facebook app and clicking the “Films” tab. “Films” can also be accessed through News Feed, by searching for ‘Films” in the search bar, or on specific movie Pages on Facebook. Once in “Films” people can click to view trailers, browse additional movie details including cast and select a screening. Once a movie and showtime is selected, people on Facebook have the option to select the ODEON ticketing option and are then redirected to the ODEON website to complete their transaction, all without leaving the Facebook app. ODEON Cinemas is the official UK launch partner, working directly with Facebook on this ticketing platform, following the US launch with AMC in 2018, which allows users to browse for local film timings, watch film trailers and purchase tickets directly through the platform. The service will available for all 109 cinemas across the UK from Friday 8th February.